Many years ago, the husband made duck confit for cassoulet, and lordy, did my life become filled with questions. Why wasn't there more duck in it? 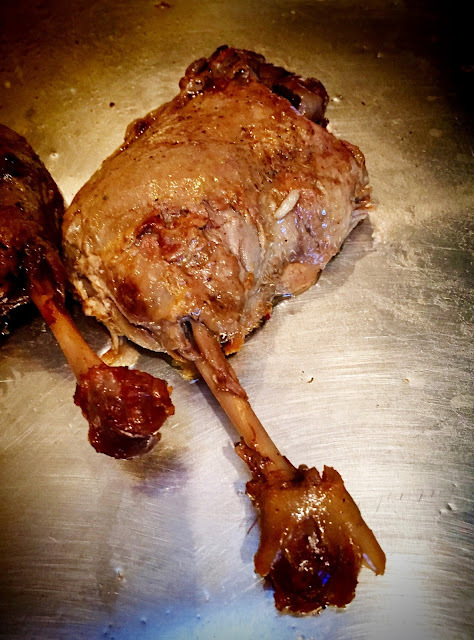 Could we make duck confit? Where can one buy duck confit? How could we use duck confit? Is it wrong that I want to eat duck confit everyday? I don't have answers, but I can at least show you how to make duck confit. If you use Ithai Schori and Chris Taylor's simple recipe from their delightful book Twenty Dinners, duck confit is truly easy. It is an investment, yes, of about three hours. But the active time with this recipe is quite short, and what you get in the end is succulent, luxurious duck preserved in fat. Sure, procuring duck fat within which you submerge the duck legs can be expensive and tricky. 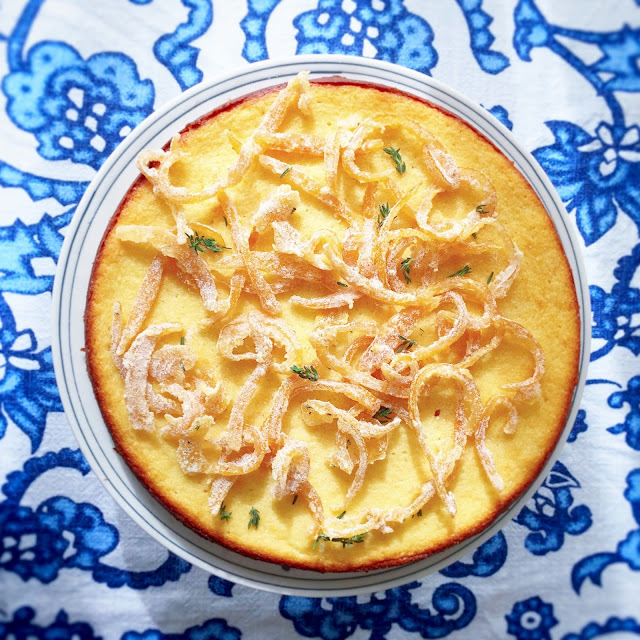 However, rest assured, you can do this all in olive oil or some combination of duck fat and olive oil if you so desire. And afterwards, you have the most amazing fat. Seriously, saute any potato in duck fat and you'll wonder why you ate potatoes any other way. I recommend making four legs, rather than two, so that you have some to use right away (for example, in Schori and Taylor's delightful Duck Confit and Tagliatelle recipe) and then have some to use later. In all kinds of dishes. Uh-oh. Looks like we better make more than four legs. Surely then we will be able to come up with more answers to life's duck-confit-related questions, right? 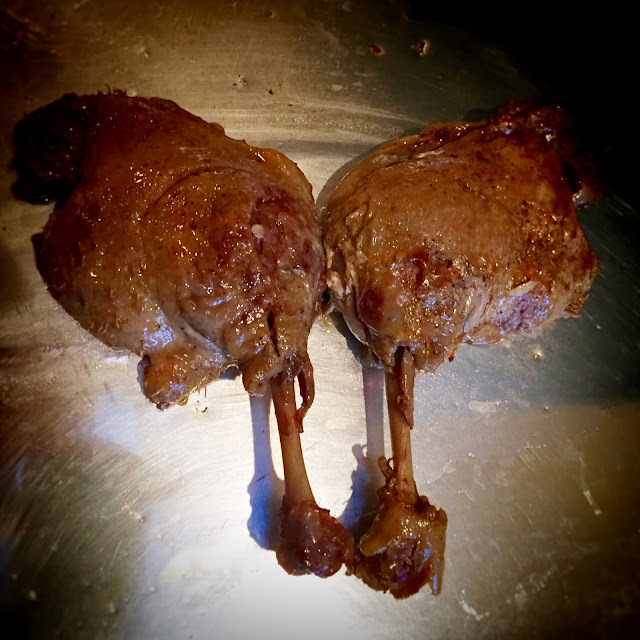 Makes 2 duck legs, but you'll want to double this for leftovers. Trust me. 2. 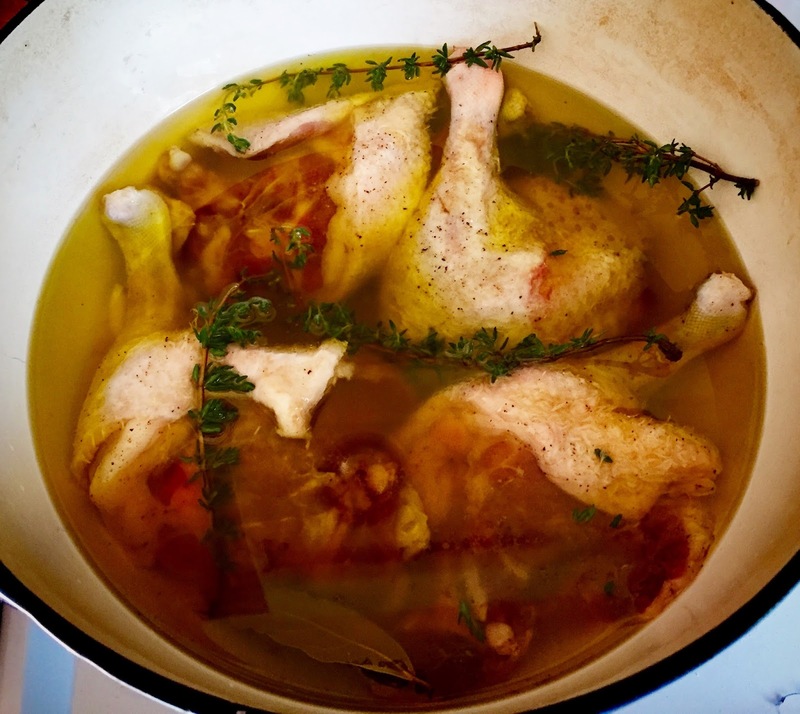 In a shallow sauté pan, season the duck legs all over with salt an cover completely with duck fat and olive oil until they are fully submerged. If your duck fat is congealed solid when it comes out of the fridge, heat it gently in a pan to melt it before adding to the legs. Add the thyme, garlic, bay leaf, and peppercorns. 3. Loosely cover the pan with foil and put it in the oven. Cook until the meat is falling-off-the-bone tender, about 2½-3 hours. Remove and let cool. 4. 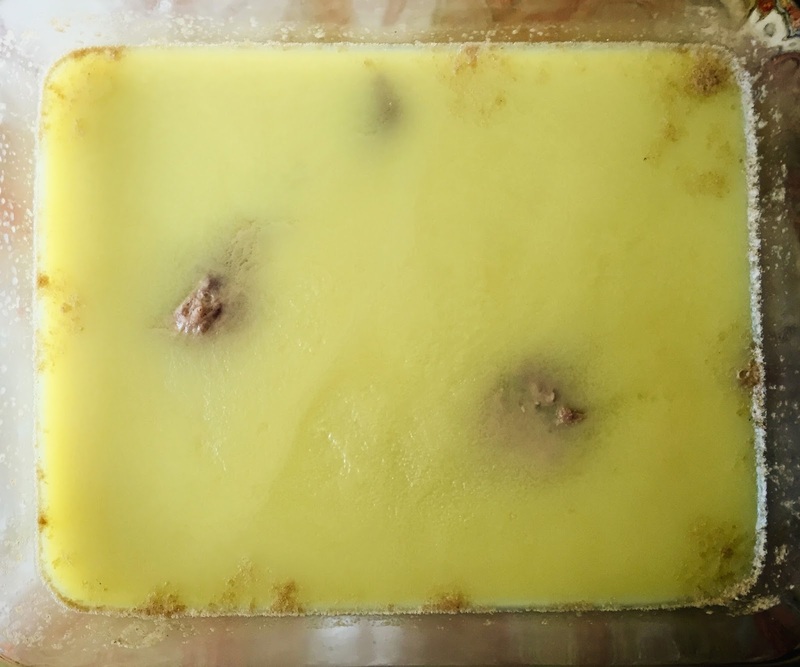 Pull the meat off the bone and use now, or if you want to save some of the duck for another time, strain the fat while still warm (not hot) through a sieve to remove the aromatics, then store the duck submerged in the fat in the fridge. It will keep for at least a few months this way. When you're ready to serve, reheat it as slowly and at as low a temperature as possible to avoid cooking the duck further.